Online ESOL Training - Accredited ESOL Certificate Online! This site uses PayPal to make sure your payment & details are safe and secure. You do not have to become a member of PayPal to use this service. Our innovative, interactive courses have been approved as meeting the requirements for the underpinning knowledge of the Basic Skills Adult Core Curriculum. The course was commissioned by the Learning and Skills Council and part funded by the European Social Fund. 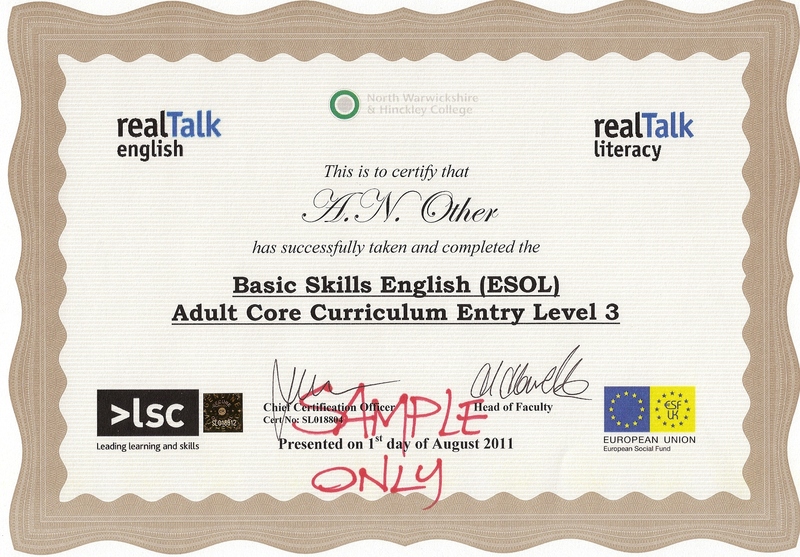 The certificate is offered once each Level of the ESOL course has been completed. These courses are certified as assisting with your English Reading, Writing, Speaking and Listening.  We Teach You (UK) Ltd.